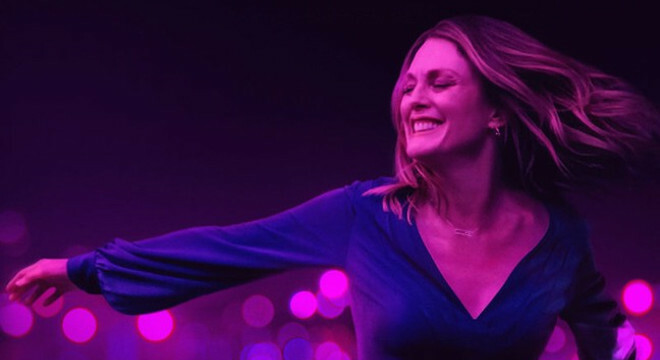 Academy award winner Sebastián Lelio (A Fantastic Woman, Disobedience) directs Academy Award-winning actor Julianne Moore (Still Alice) in this English-language remake of his 2013 film about a free-spirited, middle-aged divorcee hoping to find love on the dance floor. Gloria (Moore) adores her adult children (Michael Cera and Caren Pistorius), but she's interested in being more than a grandmother. She loves to spend her evenings dancing in singles clubs, hoping to meet Mr Right. It all seems to be falling into place when she meets the recently divorced Arnold (John Turturro), who falls for her bright smile and sees the beauty behind her oversized glasses. But Arnold's ex-wife and grown-up daughters have an unhealthy hold on him, and it seems he doesn't know how to let go of the past - or his incessantly ringing mobile phone. Drawing dazzling energy from his new cast and locations, Lelio follows Gloria as she navigates midlife romance and figures out what she truly wants. While we can all sympathize with Arnold - and Turturro has never been more comically vulnerable — it's Gloria we're always rooting for. Moore's take on the character is a fresh revelation: while maintaining Gloria's feisty spirit and eagerness to connect, she discovers just how satisfying it can be to dance alone. Check out OPENING NIGHT CELEBRATION EVENT details here. 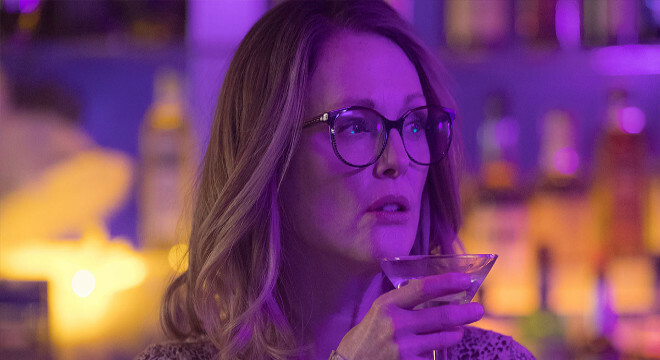 Gloria Bell pairs perhaps the best portrayer of troubled or lost women with a director who has built a career building stories around them, and the result is a film that comfortably banishes any fears of some neutered US remake. It's a remarkably enjoyable movie, downright cathartic in its presentation of a three-dimensional character.